Buying or Selling an AC? 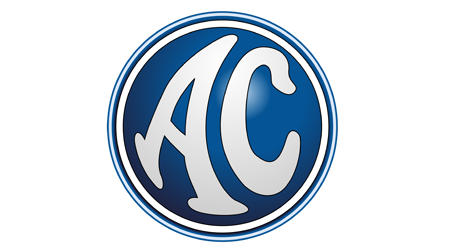 Formerly known as Auto Carriers, AC was founded in 1901 and was one of the oldest independent British car manufacturers. The AC Weller was a 20-hp touring car and the brand’s first model. In 1947, AC was making a model with a fiberglass body a single seat and a 2-liter engine. In 1953, the AC Ace came out, based on a light chassis and aluminum body. The AC Ace was the basis for the 1957 Ace-Bristol that raced at Le Mans. Introduced in 1954, the AC Aceca was an aluminum-bodies coupe with great aerodynamics. In order to meet the demand for a four-seater car, AC then launched the AC Greyhouse. Produced in less than 100 units, the AC Ace 2.6 is now a very rare classic. In 1962, AC partnered with Carroll Shelby, pairing the Ace’s chassis with a Ford V8 engine and giving birth to the popular AC Cobra. AC developed a grand tourer model for a wealthier clientele at the same time. AC introduced the 3000ME in 1973, which was a mid-engined model with a 3.0-liter Ford V6 engine. The company kept producing sports cars in partnership with Ford, such as the AC Ace V8, the AC 212 S/C, the AC MK, and the AC 378 GT Zagato. Being produced in so little number for some early models, some classic AC models are very desirable nowadays. The Alex Manos team would be delighted to hear more about your classic and make you an offer if the model fits their current inventory. The friendly and knowledgeable team has much experience buying and selling classics of all makes, models, and conditions. One recommendation they’ll share is to make sure you’re insured in case of an accident during test-drive. Moreover, the team is known for their fair and honest deals, and the friendly staff welcomes you at their Los Angeles dealership anytime. Browse the Alex Manos website to find out more about the team’s services. The representatives will help you sell your classic AC at the right price and in a hassle-free environment. Call the representatives today and ask for their help to get started on your project of selling an AC.